Everyone reaches a point in their career where they get really good at a particular skill and they face a crossroads. Do I further hone this skill or do I continue to add new skills? Unfortunately, there isn’t a correct answer. It depends on a variety of other factors. If you want to understand the progression of the business world – and professional service industries, in particular – you have to get familiar with specialization. By definition, work specialization is the act of splitting up processes of work into individual responsibilities that are each handled by the most qualified individuals available. Specialization often occurs within businesses and organizations, but individuals also benefit from concentrating on specific skills. Over the past few years, we’ve seen an increased emphasis on specialization within the entrepreneurial/freelance community and the reverberations of this shift are clearly seen on multiple levels. 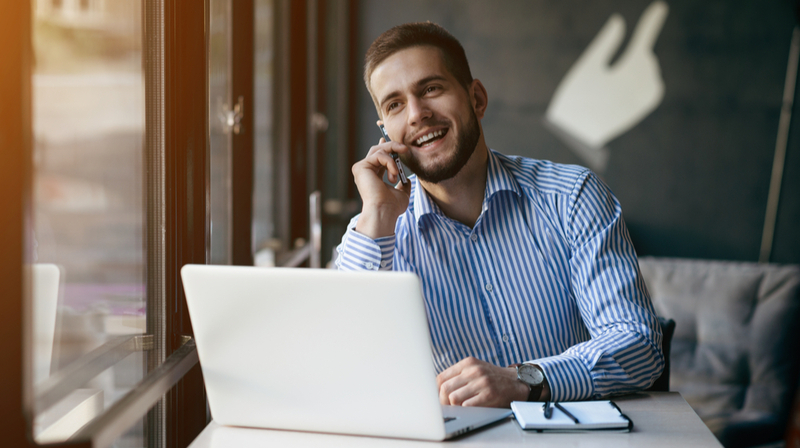 While specialization clearly plays a valuable role in the business world, the dilemma of whether or not to pursue it as the focus of your own career can be intense. It sounds great on the surface, but what are the costs and benefits when you analyze career specialization at the roots? While it’s not for everyone, there’s a lot of value that can be extracted from focusing on a specific skill or role. Let’s begin this analysis by taking a look at some of the benefits specialization affords so that you can get a better idea of the “why” behind such a career move. There’s something about having specific responsibilities that allow you to get really focused on a defined skillset. This is perhaps the biggest benefit of specialization. When you’re able to stop wasting your time on low-returning tasks and instead drill down to what really matters, suddenly you become a more valuable commodity. Consider a fictional scenario for a moment. Let’s say your house is getting old and needs some substantial work done. Namely, you need some of the siding repaired and a new roof installed. The first thing you do is call a local handyman who you know is pretty good with installing siding. And when he arrives at your house and you mention that you’re also replacing your roof, he suddenly perks up and tells you that he can do the siding repair and the roof replacement for one convenient price. The handyman leaves and the specialized roof installation company that you had previously called out for an estimate arrives. They want to charge you substantially more for the job. Despite this, most people would be more comfortable paying the premium for the specialized service. Why? Because specialized companies/professionals are deemed to be more skilled at what they do. In other words, a defined skillset is a bonus. Specialization comes with a greater sense of trust in the eyes of employers. If you’re looking for a job and are able to say that you specialize in X, Y, or Z, that’s better than saying you have some basic experience doing X, Y, and Z. An employer is going to have more trust that you know what you’re doing if you’ve exhibited a history of focusing your efforts on a singular skill or objective. From your perspective, you’ll find that specialization generally leads to higher job satisfaction. The reason for this is rooted in any number of factors. For a lot of people, it’s a result of doing something that you love. That’s because professionals generally focus on a skill that they enjoy. Other people are happier because they get immense satisfaction and pleasure from doing something that they’re good at. It makes them feel like they have something of value to offer their employer/customers/etc. Job specialization isn’t for everyone, though. Some people aren’t cut out for it and perform much better when they’re able to utilize a variety of skills and take on a diverse set of responsibilities. Keeping that in mind, let’s review some of the major cons of specialization in today’s job market. The majority of American workers aren’t finding fulfillment in their jobs. In fact, a Gallup poll shows that 50.8 percent of people are “not engaged” at work, while another 17.2 percent are “actively disengaged.” Less than one-third of people report being fully engaged. There are plenty of reasons for this, but boredom plays a big role. Unfortunately, specialization is often a major cause for boredom. If you end up becoming too focused on one thing, you don’t get enough diversity in your life and burn out fairly quickly. This doesn’t always happen, but it’s always a risk – especially for those who like change. The world changes and certain skills and occupations come and go in terms of utility and value. When you’re a generalist, this doesn’t really matter. You slowly evolve along with the marketplace. But when you’re a specialist, you can get left behind. Obsolescence is a very real threat. Consider, for example, someone who specializes in Google AdWords strategy and optimization. What would happen if suddenly Google went under or decided to eliminate AdWords and focus on an entirely different form of advertising? Suddenly that person would be out of a job. That’s the risk of tying yourself to one specific skill. You also have to consider the fact that not every customer/client/employer is looking for specialization. When cost is a factor, it’s usually makes more sense for them to hire someone who can offer a variety of services. So while you may view it as a focused skillset, others could see it as a limited skillset. Keep this in mind as you decide where you want your career to go. There will always be an opportunity for skilled professionals to specialize their services. The key to specialization is to make sure you’re balancing your approach. You can specialize yourself right out of a job if you aren’t careful. But done the right way, specialization can lead to a bright career in today’s job market. 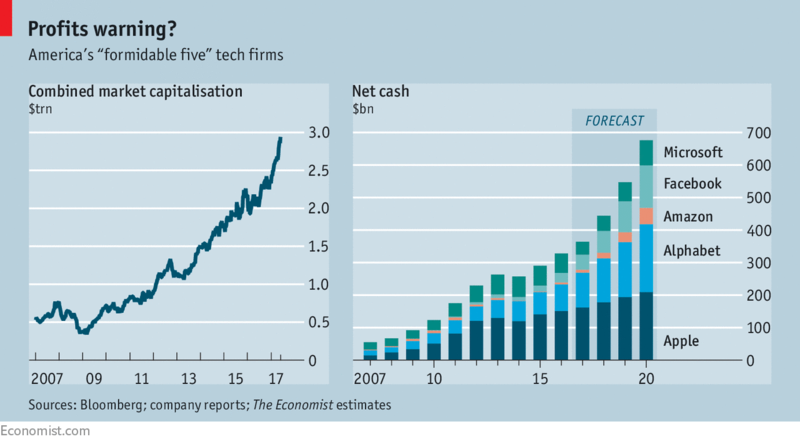 TAKE a moment to admire—and fear—the ascent of America’s big-five tech firms. Apple, Alphabet, Microsoft, Amazon and Facebook have recently become the five most valuable listed companies in the world, in that order. With a total market value of $2.9trn, they are worth more than any five firms in history. Elevated tech valuations used to be a sign of hysteria. Today’s investors believe they are making an ice-cold judgment that these firms are the dominant oligopolies of the 21st century and will extract a vast, rising, flow of profits. There is one gnawing doubt, however: the formidable five’s cash-rich balance-sheets, which are built as if they expect a crisis, not to dominate the world. BA’s computer meltdown: how did it happen? Since 1990, U.S. businesses have sent 85 percent of their manufacturing and other operations overseas as a way of cutting costs. But Kangol is doing just the opposite. The popular hat brand actually recently brought its manufacturing operations back to the U.S. from China. This move hasn’t come without challenges — namely, the cost of labor. But it may also have some unexpected benefits for the brand as well. At a time when the trend is sending jobs to other countries, the fact Kangol is doing the opposite could really set the brand apart. Consumers appreciate when businesses are willing to go the extra mile to create jobs and help the economy. And they might even be willing to pay a bit more to support those companies. For small businesses, the lesson is that sometimes taking the more difficult route and working through challenges for a good cause can bring about intangible benefits in the long run. Maybe your business is considering switching to alternative energy or using sustainable resources in products. It might not be easy to get started. But if your customers support all the time and resources you dedicated to those initiatives — and show it by spending on products and services — it just might be worth it. After introducing Promoted Video ad units last August, Pinterest is adding autoplay on those ads . This new format of video plays as soon as you scroll across your feeds. They also autoplay in the platform’s search results. “So when someone knows exactly what they’re looking for on Pinterest, your video can be right there to show it to them. Your videos will also show up when they tap open a Pin and scroll down to the ‘More like this’ selection of related Pins”, writes Jenny Chiu, a member of the Partnerships at Pinterest team on the official Pinterest Business Blog. 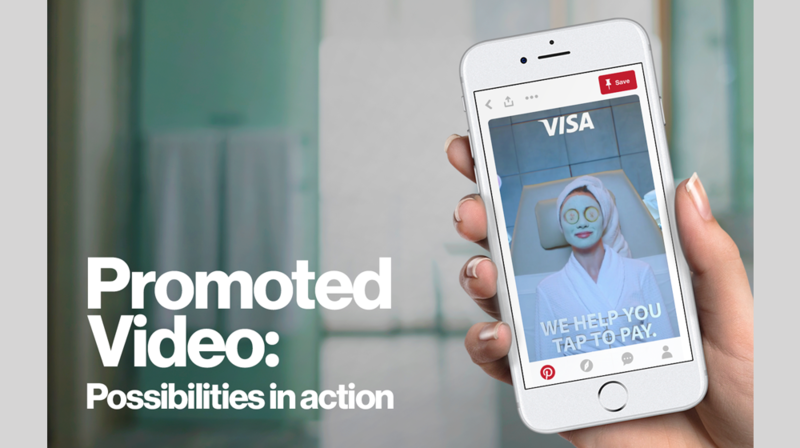 The popular pinning and sharing platform announced last November that it was going to test auto-play promoted videos and now it is doing so with brands like Toyota, Universal Pictures, Adidas, L’Oreal and Visa. Pinterest plans to open the feature “in the coming months” to advertisers in the U.S., U.K., Canada, Ireland, Australia and New Zealand. Advertisers will be able to buy the service through Pinterest’s self-serve ad-buying tool or advertising API or directly from the company’s sales team. Since the video ads play automatically and are therefore more likely to get views, they will likely also cost less for advertisers. 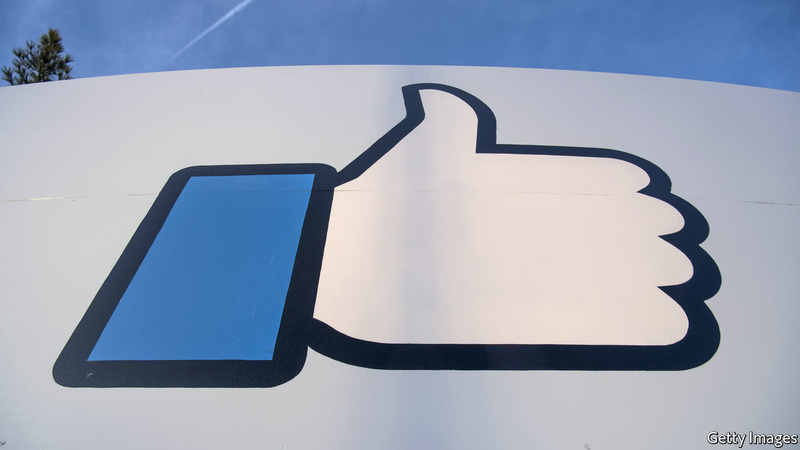 The social network will also charge advertisers based on the number of impressions their ads receive. So if a user quickly swipes past an ad within a second of it playing, the advertiser still has to pay. Pinterest is obviously following in the footsteps of rivals like Instagram, Facebook and Twitter and if all goes as planned, the company might soon be a major challenger in the market. Finally, Pinterest announced Moat, a service providing real-time attention analytics, will provide data on viewability, or how much of the videos were in view while Nielsen Mobile Digital Ad Ratings will measure audience reach of campaigns using Promoted Video with auto-play. “See how much people saw — thanks to our partnership with Moat, you’ll soon be able to find out how long people played your video, and how much of it was on screen (like “10 seconds, 100 percent in view”), Chiu added. You are currently browsing the Business, finances, forex blog archives for May, 2017.